The latest NHS Confidence Monitor survey results are in and 86% of dentists intend on leaving the NHS within the next 5 years – and almost half of those plan to go private. What does that mean for dentists and patients? Why are dentists leaving the NHS? NHS dentists are under a lot of stress, and in the survey they have cited the number one reason as being the NHS dental system and UDA contract which they believe is not good for dentists or patients. Other reasons include remuneration and not having enough time to manage patients’ expectations. While 48% don’t want to leave dentistry altogether, and want to move to private practice, the remainder are split between retiring and changing career altogether. Private dentists were asked to compare their experience with being in the NHS. 91% believed they were better able to meet patient expectations, 88% were happier with their pay and 71% did not feel too stressed in their job. What does this mean for NHS dentistry? There has long been public belief that there are not enough NHS dentists. 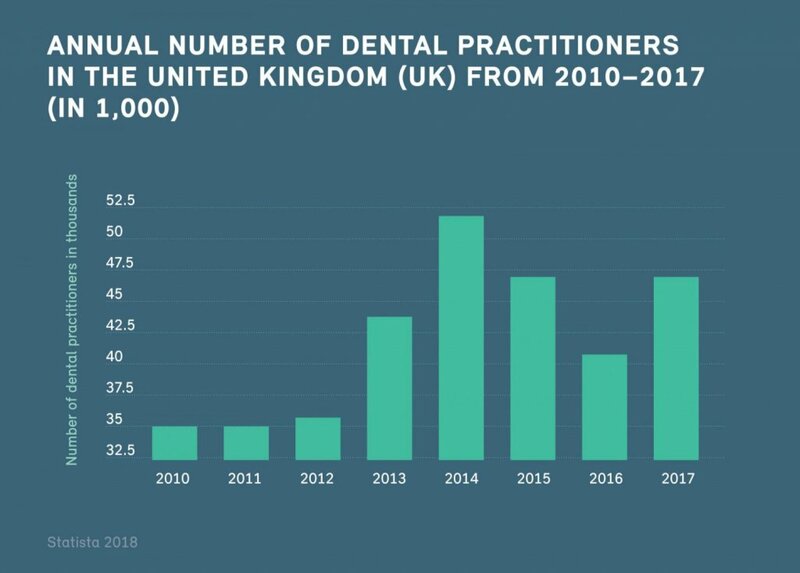 If the research is a true representation of the mood of UK dentists, then over the next few years we will see an increase in primarily private dentist practices and a sharp decline in NHS ones. However, the number of dentists willing to leave the profession altogether suggests that there will also be a shortage of practices in general, be that NHS or private. Are you considering making the move to private dentistry? If you have already made the move, or are currently an NHS dentist and considering the move, have you considered what that means for you? As a self-employed dentist you will not be covered under your employer’s indemnity insurance, which you need as part of your yearly General Dental Council (GDC) registration. So, if you have not had your own dental indemnity insurance before, you will need to choose a policy that is right for you. Not only is a requirement, but as 90% of dentists fear being sued, it provides you with excellent peace of mind when carrying out your professional duties. There are also a few benefits of having your own indemnity insurance – such as being able to work in a number of practices or as a locum, and not relying on your employer to give you proof of cover when you register with the GDC. If you choose to become a self-employed private dentist, or set up your own practice, there are a number of other considerations in terms of insurances. Hands and Eyes insurance, Critical Illness cover and Income Protection all offer additional peace of mind for you and your family in the event that you can’t work. Practice insurance and Business Overheads insurance are also imperative if you choose to run your own practice. You will also have a number of financial and accounting considerations, as well as legal obligations. When becoming self-employed, or running a practice, it is a good idea to consult a financial advisor. If you are thinking about leaving the NHS and venturing into self-employment, that can contact the team at All Med Pro for an informal chat about your requirements. We will help you to ensure you are sufficiently protecting yourself and your career.